Researching the human heart and brain. The HeartMath Institute (HMI) researches heart-brain communication and its relationship to managing stress, increasing coherence and deepening our connection to self and others. HMI’s scientists also explore the electrophysiology of intuition and how all things are interconnected. Since 1991, the HeartMath Institute has researched and developed reliable, scientifically validated tools and technologies that help people improve their emotional balance, health and performance. HMI also has conducted intriguing research on how the heart&apos;s magnetic field radiates outside the body and can affect other people. Browse many HeartMath Institute and independent research studies here, including on stress reduction, improving health, heart-rate variability, intuition and energetic communication. HeartMath Institute’s extensive research and findings on stress, heart intelligence, coherence and the energetic connection between all things are featured. A comprehensive look at the HeartMath Institute’s findings on the science of heart-brain communication, intuitive intelligence and optimal functioning. HeartMath’s Global Coherence Monitoring System monitors geomagnetic fields and how solar and cosmic influences affect the earth’s fields and human health and behavior. Subscribe to HMI’s News and Tools. It’s free… and very useful. All profits support the Global Coherence Initiative. A free scientifically developed assessment tool that gives you a snap shot of your current level of well-being. The Inner Balance trainer guides you to more inner calm, clarity in decision-making, and balanced compsure. 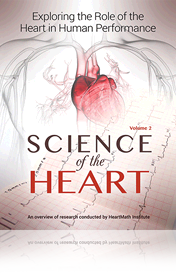 Support HeartMath’s research on stress, heart intelligence and global coherence. 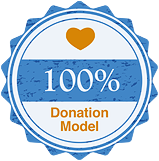 Licensing and sales cover administration and fundraising costs so 100% of your donation supports projects to help people. 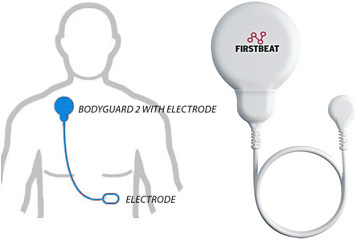 New low-cost HRV recording solutions and analysis services for health-care, research and wellness professionals. HMI offers a variety of analysis services ranging from large-scale research projects to low-cost Autonomic Assessment Reports for clinics and physicians.